Those two words were the nagging question in soft-spoken smiley faced Christiana Turner's mind so many years ago. There's got to be some hidden talent in me and how do I discover it. Like child's play ideas started to percolate, stationery rose to the surface and Isabella Invitations was born. But not just any stationery. What would differentiate her from any other stationery in the industry became the next quest. The desire to help her clients set the tone for their events became a passion. Fast forward 11 plus years later that passion still fuels her craft as she serves client from all around the world. It's not just invitations, they are exquisite, luxurious and downright stunning. Ask The Expert: What are the best uses of your services? Isabella Invitations:: My company is Isabella Invitations. We are one of Houston’s premier custom invitations design studios, specializing primarily in Custom Wedding Invitations and Stationery. We have been privileged to work with wonderful, discerning brides within and outside Texas since 2006. Most clients who come to us for wedding stationery when they want something different and are not afraid to push the envelope a little. Ask The Expert: What are some challenges your clients encounter? How have you solved the problem? Isabella Invitations: The most common question asked is “how much are the invitations”. While that is a very good question, it also happens to be a very broad question. Due to the highly customized nature of our invitations, there’s a huge price range. The custom invitations process is very detailed and priced based such dynamics as each client's paper selections, print process, embellishments, accessories, quantity just to name a few. The best way to ask pricing question is to be specific, “I like invitation style ABC, how much would that cost” OR “I have a budget of $___, what style of invitation can I get for that amount”. Ask The Expert:. Assuming money is no object, what are the top 3 ideas you'd like your clients to consider and/or implement? 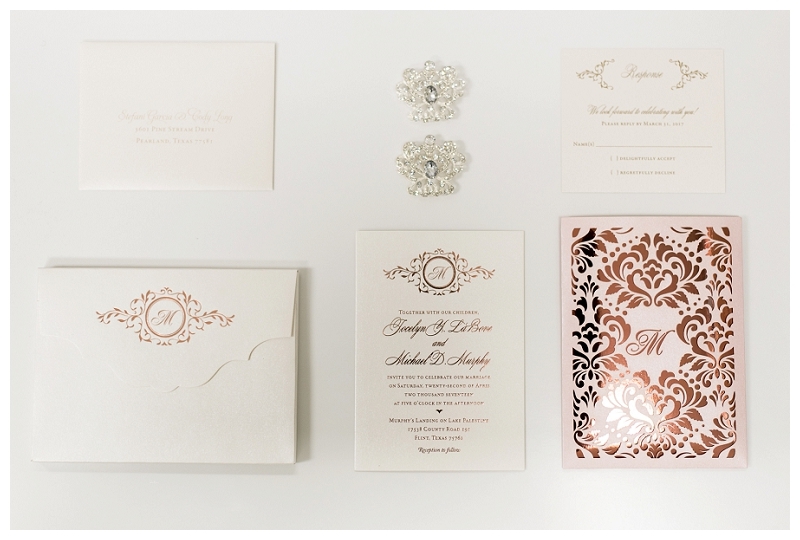 Isabella Invitations: I love the mix of textures and metallics. Right now, metallics are in style! ; think foils, acrylics, fabric. I love the feel of Letterpress print; this never gets old for me. The richness of letterpress on cotton paper, oh my! LOVE!!! I also love the dimensions that laser cut gives. As is, we do a lot of laser cut invitations but I’d love to combine all these elements into one to create an exquisite invitation suite. These are stationeries that create a buzz among recipients and increases the anticipation of the wedding day. You can expect your guests to hold on these invitations for years to come. I would love to create such invitation for a discerning bride. Ask The Expert: What are your price point? Isabella Invitations: Custom invitations can start anywhere from $600 for 100 invitations and go up to thousands. As described earlier, the custom invitations process is very detailed as such we cater to our client's unique taste. We customize based on each client's paper selections, print process, embellishments, accessories, quantity etc. The key to custom invitations is to set a budget, let us know what the budget is and we can advise on what invitation styles fit within the budget. Ask The Expert: What advice would you offer someone just starting out in the luxury stationery industry? Isabella Invitations: For anyone starting out in the wedding stationery industry, I’d say stay true to your style. Discover and know your target audience. Understand that this industry requires a lot of patience and constant learning.